For other uses, see Buzz Lightyear (disambiguation). Buzz's name was inspired by Apollo 11 astronaut Edwin "Buzz" Aldrin, the second person to walk on the Moon. According to Pixar producers, the character was provisionally named Lunar Larry, but it sounded "too wacky", so while trying to rechristen him "we went through some space terms and the word light-year came up, and the coolest astronaut name was Buzz Aldrin." Aldrin acknowledged the tribute when he pulled a Buzz Lightyear doll out during a speech at NASA, to rapturous cheers. A clip of this can be found on the Toy Story 10th Anniversary DVD. Aldrin did not, however, receive any endorsement fees for the use of his first name. Regarding the design of Lightyear, his creator, John Lasseter, said he wanted to create an action figure in the line of G.I. Joe for Toy Story and decided upon a spaceman figure. He attributes his design to the influence of Apollo astronauts, in particular their clear helmets, skullcaps, communication devices and white suits. The purple and fluorescent green color scheme were his and his wife's own favorite colors respectively. The looks of television actor Ed Kemmer are also believed to be a prototype for Lightyear. Kemmer played Commander Buzz Corry in Space Patrol, one of the first science-fiction series on American television. In Toy Story, Buzz Lightyear is given to a boy named Andy Davis from his mother as a birthday present. 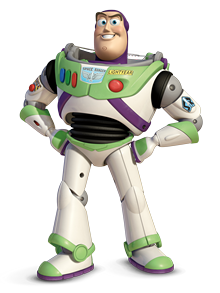 Buzz believes that he is a real Space Ranger, rather than a toy, believing that it is his mission to protect the galaxy from the Evil Emperor Zurg. He quickly becomes Andy's favorite toy, making Andy's original favorite toy, a cowboy doll named Sheriff Woody, feel jealous. The effects of Woody's jealousy eventually leads both him and Buzz to be captured by Sid Phillips, the toy-torturing boy who lives next door to Andy's house. While imprisoned in Sid's house, Buzz Lightyear sees his own television ad, and realizes that he is a toy and not a Space Ranger. But when he tries to fly out of the window, he falls, causing him to break his arm. Upon understanding this, Buzz Lightyear becomes depressed, but Woody eventually convinces him that it is a good thing. Buzz regains hope, and working together, the two escape Sid, return to Andy, and become best friends. In Toy Story 2, Woody is kidnapped by a greedy toy collector named Al McWhiggin, who is intent on selling him and other western toys to a toy museum in Japan. Buzz Lightyear leads Andy's toys – Mr. Potato Head, Slinky Dog, Rex, Hamm – on a daring mission to rescue him. They travel to Al's Toy Barn, where they believe Woody was taken to. While inside the store, Buzz comes across a newer Buzz Lightyear toy with a Utility Belt. When he tries to take the Utility Belt, the newer Buzz Lightyear (who, like Andy's Buzz Lightyear in the first film, believes he is a real Space Ranger) attacks him, believing that he is a disobedient Space Ranger. The two Buzz Lightyears fight and Utility Belt Buzz Lightyear traps Andy's Buzz in a cardboard rocket ship similar to the one he originally came in. Soon the other toys find Utility Belt Buzz Lightyear and mistake him for Andy's Buzz Lightyear, despite the real Buzz's cries of "You've got the wrong Buzz!" Utility Belt Buzz Lightyear joins the gang after Rex tells him that he knows how to defeat Evil Emperor Zurg (in a video game). Andy's Buzz Lightyear eventually breaks free from his cardboard prison and tracks down Utility Belt Buzz Lightyear and the rest of the toys to Al's apartment. After arguing with Utility Belt Buzz Lightyear over who the real Buzz Lightyear is, he eventually convinces them that he is the real Buzz by showing them the bottom of his boot, which has Andy's name written on it. Although he manages to convince Woody to return home, Stinky Pete stops him, as he wants to go to Japan. After Buzz Lightyear and the gang fight Evil Emperor Zurg in the elevator shaft, they use a Pizza Planet truck to chase after Al to the airport (while Utility Belt Buzz Lightyear stays behind to play with an amnesiac Evil Emperor Zurg), with Buzz Lightyear controlling the steering wheel as well as moving a pizza box on the driver's seat to help him reach it. Eventually, they manage to rescue Woody and his new friends Jessie the cowgirl and Bullseye. At the end of the film, Buzz has developed a crush on Jessie. In Toy Story 3, Woody, Buzz Lightyear, and the other toys accidentally end up in a daycare center after a mistake when Andy is packing for college. The daycare center toys are led by the teddy bear Lotso, who is later revealed to be a ruthless leader. Lotso makes Buzz one of his henchmen, switching him back to "demo mode" causing him to again believe he is a Space Ranger and turn against his friends. When escaping, Woody and the other toys accidentally switch Buzz to "Spanish mode" causing confusion for many characters and comedic character changes for the audience. Buzz turns back to his normal self after he gets crushed by a television set in a garbage truck. After making their way back to Andy's house, Buzz and the other toys are given by Andy to a little girl named Bonnie. The end shows the toys embracing their new life with Bonnie. In Toy Story 4, Buzz Lightyear will return, where he and the others will help Woody reunite with Bo Peep. In the television series Buzz Lightyear of Star Command, Buzz Lightyear is a Space Ranger working for Star Command, protecting the universe from Evil Emperor Zurg. He works in a team alongside Mira Nova, a princess; Booster, a janitor; and XR, a robot. This version of Buzz Lightyear has a different personality from the one in Toy Story. Buzz Lightyear also has had many love interests on the show. He once had a friend and partner named Warp Darkmatter, however, he later joined Evil Emperor Zurg and became his primary agent. Buzz Lightyear also seems to never take off the purple headwear that he has with his Space Ranger uniform. Aside from his regular catch phrase, he has a habit of telling villains that "Evil never wins!" Buzz Lightyear also appears in Pixar's 2003 film Finding Nemo. He also appeared as a car in Pixar's 2006 movie, Cars, along with Woody and Hamm. He is also seen in the Toy Story Toons episodes Hawaiian Vacation, Small Fry, and Partysaurus Rex, and the two specials: Toy Story of Terror! and Toy Story That Time Forgot. Buzz Lightyear also appeared in two episodes of Family Guy both times in cutaway gags set up by Stewie Griffin. In the 2013 episode "Chris Cross", after Stewie has seriated Brian Griffin with "You Needed Me", he complains that he invited Buzz Lightyear to watch and he did not show up. This cuts to Buzz Lightyear talking with a woman at a bar. In the 2017 episode "The Finer Strings", when Brian insists that Carter is his friend, Stewie says "That's what Woody thought about Buzz Lightyear." This leads to a cutaway gag where Woody catches Buzz Lightyear making out with Bo Peep. Buzz has also been referenced on The Simpsons. In the 2005 episode "The Italian Bob", Lisa Simpson mentions both Buzz Lightyear and his voice actor Tim Allen. In the 2010 episode, "The Color Yellow", Ralph Wiggum holds on a picture where he is with Buzz Lightyear and Elmo from Sesame Street, saying "Martin Luther King had a dream. Dreams are where Elmo and Toy Story had a party, and I went there". In the 2011 episode "Flaming Moe", Bart Simpson is playing with a toy parodying Buzz Lightyear. Buzz was also in the 2008 Disney film Bedtime Stories and the 2010 Disney film The Sorcerer's Apprentice. Buzz Lightyear and Woody appear as piñatas in Pixar's 2017 film Coco, and Buzz appeared in the 2019 video game Kingdom Hearts III. Tim Allen reprised his role in the 2018 Walt Disney Animation Studios film Ralph Breaks the Internet, where he repeated his famous catchphrase. Buzz Lightyear is known for his bravery and courage. Buzz believes that following rules is the way people should live their life. Though a great leader, at times he exhibits rather unemotional, erratic, and impulsive behavior, a triumvirate of his biggest character flaws. Buzz Lightyear is trained in several forms of martial arts. He is friends with Sheriff Woody, and by the end of Toy Story 2, he has developed a crush on Jessie the cowgirl, which is actualized with their mild romance in Toy Story 3. Buzz Lightyear wears a high-tech space suit, similar to those of modern-day astronauts though more streamlined and iconic. The suit chest features a green control panel on his torso consisting of a light blue sticker that has the words "SPACE RANGER" and the Star Command symbol and four buttons. On the left hand side of the suit, a large red button activates the suit's flight system, which are two purple wings with red and white candy cane lining, and green and red wing tips. Above the red button is a yellow nametag that says "LIGHTYEAR". The three buttons (one red, one green and one blue) on the right of the suit have numerous functions such as contacting Star Command, shooting grappling hooks, and activating full throttle. As the toy Buzz Lightyear of movies however, all they do is make him say different catch phrases. His suit also protects against the vacuum and cold of space. It can also translate all he says into any language, even an outer space dialect. A retractable helmet, when activated, covers Buzz's head and allows him to breathe in space or on planets lacking a sufficient supply of oxygen. His left arm of the suit has a Space Ranger symbol sticker and panel that flips open to reveal a display that contains a mission log in the wrist area to record history and provide records. His right arm has a yellow with black striped sticker that says "LASER" on his upper arm, and contains the weapon system which projects an unusually strong and powerful red-colored laser out of the small cannon on the back of the wrist. Buzz Lightyear has a utility belt as an upgrade to his suit. It has various things such as anti-gravity servos, magnets for climbing purposes, and a grappling hook. In 1995, Thinkway Toys introduced a 12-inch-tall Buzz Lightyear figure. The figure was subject to mass sales in the Christmas after the film's release, mainly in the United States and United Kingdom. In 1995, Thinkway did not think that Toy Story would be that popular and hence did not make enough dolls to meet demand, as referenced in Toy Story 2. In October 2009, to coincide with Toy Story's 3-D re-release, Thinkway Toys released a replica Buzz Lightyear figure based on the figure in the Toy Story movies as part of their Toy Story Collection series of toys. This Buzz Lightyear was much more accurately detailed than the other Buzz Lightyear figures and it has features similar to the figure seen in the movie with similar pop-out wings complete with blinking lights at the wing tips, laser, wrist communicator and the figure has over 65 phrases with original voice. However, the figure lacks the karate chop action. The figure also comes with a Certificate of Authenticity and comes packaged in the spaceship packaging as seen in the movies. Another 2009 Buzz Lightyear figure by Thinkway Toys included the utility belt from Toy Story 2. 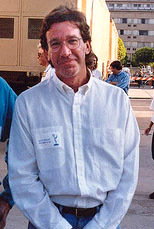 Originally, Tim Allen's voice was on the action figure, but newer models feature a voice actor who sounds similar to Allen. In May 2008, NASA and Disney announced that an original Thinkway Toys Buzz Lightyear action figure would fly aboard the Space Shuttle Discovery on mission STS-124. The 12-inch toy was to remain on the International Space Station (ISS) for six months, where it would take part in an experiment and appear in a video downlink from space. The flight was arranged as part of the Toys in Space program that began in 1985. The mission launched with Buzz Lightyear aboard on May 31, 2008, to celebrate the opening of Toy Story Midway Mania! at Disney's Hollywood Studios and Disney California Adventure Park theme parks, with the ultimate destination of the ISS. The action figure "ate" dinner with the 10 astronauts and cosmonauts and was seen peering out a window aboard the ISS. The action figure stayed aboard the space station for a period of six months as part of the toys-in-space educational program. The action figure returned from the space station on September 11, 2009 aboard mission STS-128. In 2009, Lego began releasing its Lego Toy Story line, which included a 205-piece Buzz Lightyear action figure. When the figure is completely built, it has articulating head, arms, hands, torso, legs, feet, wings and visor. Lego also created a Buzz Lightyear minifigure. In 2016 a new version of Buzz Lightyear was created for the LEGO minifigures Disney series. This minifigure featured new prints for legs and arms of the minifigure and removed the Star Command logo from the chest of the torso piece. In October 2007, readers of Empire voted Buzz No. 1 of the Top 20 Greatest Pixar Characters. They also rated him the 94th greatest movie character of all time. Buzz Lightyear's classic line "To Infinity... and Beyond!" has seen usage not only on T-shirts, but among philosophers and mathematical theorists as well. A book about the history of infinity from 1991 (4 years before Toy Story), by Eli Maor uses the phrase for its title. Lucia Hall of The Humanist linked the film's plot to an interpretation of humanism. She compared the phrase to "All this and heaven, too! ", indicating one who is happy with a life on Earth as well as having an afterlife. The 2008 quadruple platinum song "Single Ladies" by Beyoncé includes the lyric "...and delivers me to a destiny, to infinity and beyond." Astronauts used the phrase while sending the Buzz Lightyear figure into space. The action figure was used for experiments in zero-g. Also in 2008, the phrase made international news when it was reported that a father and son had continually repeated the phrase to help them keep track of each other while treading water for 15 hours in the Atlantic Ocean. ^ "Toy Story 3 Featurette – Buzz Lightyear". Trailer Addict. June 18, 2010. Retrieved August 29, 2010. ^ Solomon, Deborah; Oth, Christian (June 15, 2009). "Questions for Buzz Aldrin: The Man on the Moon". The New York Times. Retrieved June 15, 2009. Note: nytimes.com print-view software lists the article date as June 21, 2009; main article webpage shows June 15. ^ Tyler, Josh (September 30, 2009). "Watch John Lasseter Explain The Origins of Buzz Lightyear". Cinema Blend. Retrieved June 14, 2011. ^ Stopera, Dave (August 30, 2012). "23 Things You Probably Didn't Know About The Movie "Finding Nemo"". BuzzFeed. Retrieved December 26, 2014. ^ "Hero Complex". Los Angeles Times. December 30, 2009. Archived from the original on January 2, 2010. 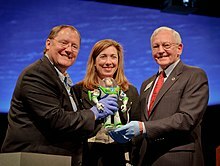 ^ "Smithsonian's National Air and Space Museum Receives Buzz Lightyear Flown in Space" (Press release). Smithsonian's National Air and Space Museum. March 29, 2012. Retrieved October 7, 2014. ^ a b Pearlman, Robert Z. (May 29, 2008). "Buzz Lightyear Becomes Real Space Ranger". Space.com. Retrieved March 12, 2009. ^ Dunn, Marcia (June 6, 2008). "Japan's space lab just got bigger". MSNBC. Associated Press. Retrieved June 7, 2008. ^ "The Return of Buzz Lightyear". NASA. Retrieved October 2, 2009. ^ "7592 Construct-a-Buzz". The LEGO Group. Archived from the original on July 9, 2011. Retrieved July 13, 2011. ^ "Empire Features". Empire. December 5, 2006. Retrieved August 29, 2010. ^ "94. Buzz Lightyear". Retrieved December 4, 2010. ^ Dusek, Val (2006). Philosophy of Technology: An Introduction. Blackwell Publishing. p. 59. ISBN 1-4051-1163-1. ^ To Infinity and Beyond: A Cultural History of the Infinite. Princeton University Press. 1991. ISBN 978-0-691-02511-7. ^ Hall, Lucia K.B. (March 1, 2000). "Toy Stories for Humanists?". The Humanist. Retrieved March 13, 2009. ^ "'Toy Story' Line Helped Father, Son Survive in Water for 15 Hours". Fox News Channel. Associated Press. September 10, 2008. Archived from the original on July 30, 2012. Retrieved March 13, 2009. This page was last edited on 31 March 2019, at 18:53 (UTC).